Mode Gakuen Cocoon Tower is a 204-metre (669 ft), 50-story educational facility located in the Nishi-Shinjuku district in Shinjuku, Tokyo, Japan. The building is home to three educational institutions: Tokyo Mode Gakuen (fashion vocational school), HAL Tokyo (special technology and design college), and Shuto Ikō (medical college). Completed in October 2008, the tower is the second-tallest educational building in the world and is the 17th-tallest building in Tokyo. It was awarded the 2008 Skyscraper of the Year by Emporis.com. Before selecting a design for its new Tokyo location, Mode Gakuen held a competition asking architects to submit design proposals for the building. The only condition was that the building could not be rectangular. Mode Gakuen received more than 150 proposals by approximately 50 architects. The winning proposal was a cocoon-like structure designed by Tange Associates. According to Tange, the building's cocoon shape symbolizes a building that nurtures the students inside. 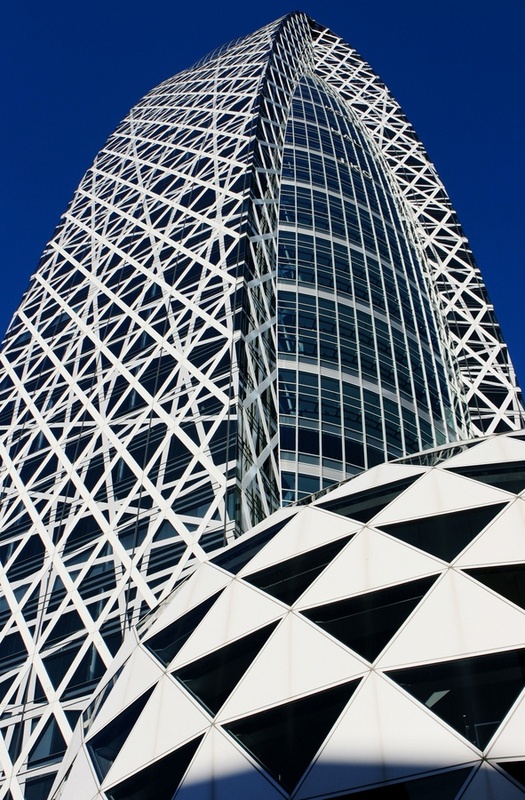 White aluminum and dark blue glass exterior form the structure's curved shell, which is criss-crossed by a web of white diagonal lines earning it the name "Cocoon Tower". A Tange Associates spokesperson stated that their aim was to use the building to revitalize the surrounding area and to create a gateway between Shinjuku Station and the Shinjuku central business district. The building's design earned the firm the Emporis.com 2008 Skyscraper of the year award.